Oral health advocates have worked together over the past several years to achieve momentum to improve the oral health of Missouri. A key goal has been to ensure that Missouri has a state dental director. The Missouri Coalition for Oral Health has garnered support from elected officials, advocates, health care foundations — including the Health Forward Foundation — and the public. A state dental director ensures that oral health is not a secondary health policy issue that intersects with policy decisions as an after-thought or — worse yet — not at all. Considering systematic ways to improve the oral health of Missouri seems like an obvious choice. 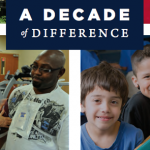 Yet, from the time we chose to not fill the dental director position in 2005 until 2013 when a new director was appointed, the history of oral health in Missouri tells a difficult story. Until the past few years, we have paid far too little attention to oral health when considering policy changes that make the most of our limited resources. Now, just about every metric available tells us the oral health of Missouri is poor. Among states, we are nearly dead last in access to oral health care. Coverage for adult oral health was removed from the Medicaid budget in 2005. As in many states, it was considered a superfluous budget add-on, something that could be lost without any real impact on the health of Medicaid recipients, only resulting in savings. We now know that is not the case. Missouri has seen an increase in the use of emergency rooms for untreated dental conditions that should never have risen to the level of an emergency. Just as unnecessary ER costs have risen, so too has the difficulty of managing chronic illnesses when co-occurring poor oral health is present. 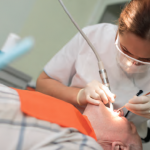 In a prudent and fiscally sound choice, the Missouri Legislature has added Medicaid adult dental coverage to the 2015 and 2016 state budgets. Implementation is proving slower than anyone wants, but we are moving in the right direction. A state dental director has the capacity to attack our oral health issues in multiple ways. The dental director will make sure that data on state oral health is readily available, understandable and part of policy discussions within the state system. The mere fact that we have a dental director makes Missouri competitive for special funding for projects to improve oral health, such as expansion of a dental sealants program, an important tool for preventing cavities among school children who do not have access to regular dental care. This important leadership position also brings special attention to an area of increasing concern for all Missourians and for decision makers in particular. Working in concert with the Missouri Coalition for Oral Health, the dental director will have a real chance to make the Missouri public fully aware of the importance of oral health to overall health and making it a priority for all Missourians, as it surely must be if we are to move forward as a state. Missourians have a tradition of helping each other when faced with a crisis. As the Coalition advocates with legislators, state leaders and the public, everyone is coming to the realization that the poor state of oral health in the Show-Me state is a crisis we can and must address. To do otherwise is simply too costly. The state dental director fills an essential role in taking care of our own. This blog post is part of A Healthy 10.